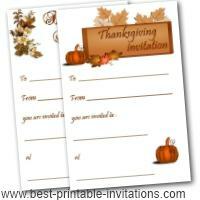 Looking for some printable Thanksgiving Invitations for your Thanksgiving day dinner, party or reunion? Although a traditional holiday, there are lots of ways to celebrate Thanksgiving. 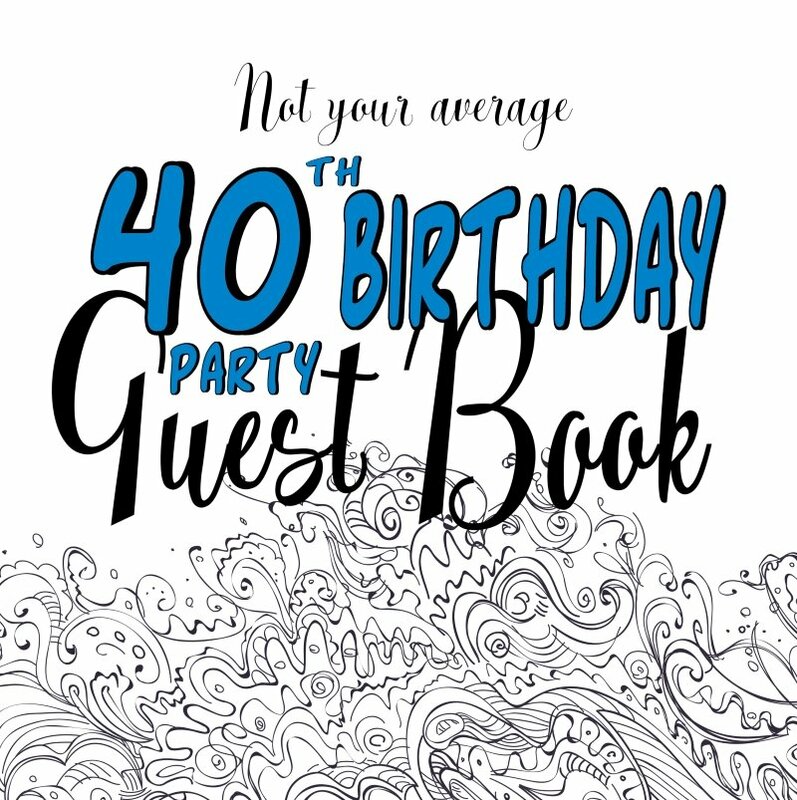 But finding an invite for your party or reunion isn't always easy. These invites are flexible enough to suit all occasions - and free! What more could you need? 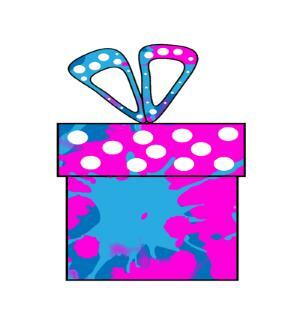 Hand deliver your invites where you can to save postage costs. More ideas? 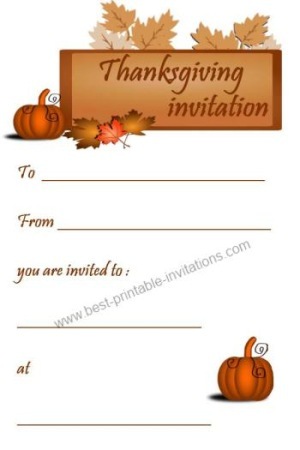 Try this thanksgiving invitation instead. 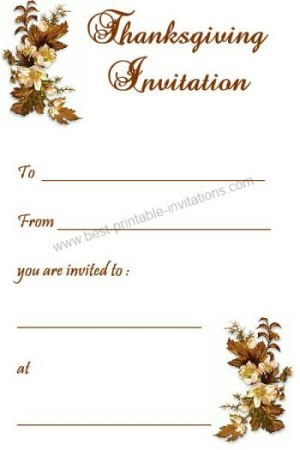 Scrolls of lovely autumnal flowers decorate this pretty invite. Prints 2 copies per page - just cut apart and you are ready to go. Pumpkins and fall leaves. The perfect way to invite your guests. Prints 2 copies per page to save you time and ink. I have tried to make these holiday invites as flexible as possible so you can use them in a variety of situations. 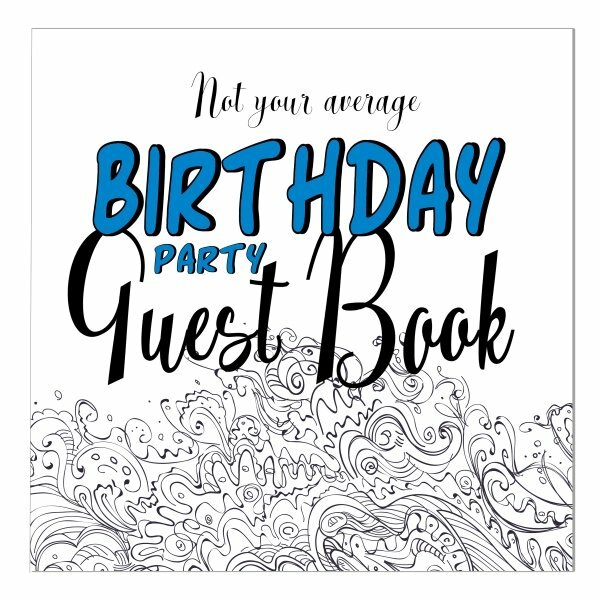 Do be sure to be specific when writing them out for your guests. Are they invited for the day or just dinner? Let them know what time to arrive - and put an end time on too if you wish. Make sure you send your invitations out in good time so that everyone can make arrangements. And let your guests know if (and how) they need to let you know if they can make it. 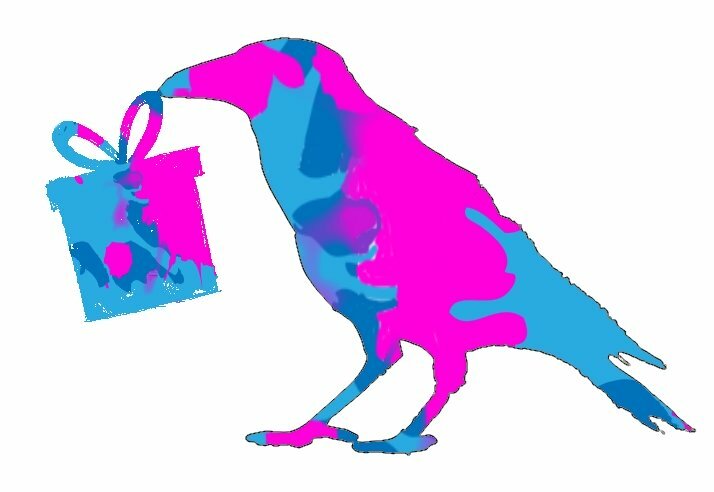 If you need to add extra directions, or to ask your guests to bring something along with them - then you could use the back of the invite. Just write a little 'PTO' on the front so they don't miss it. "Thanksgiving dinners take eighteen hours to prepare.